The Executive Director of Human Rights Watch, Ken Roth, commented on Facebook that the local representative of the organisation, Dewa Mavhinga, did not bully Strive Masiyiwa's wife. 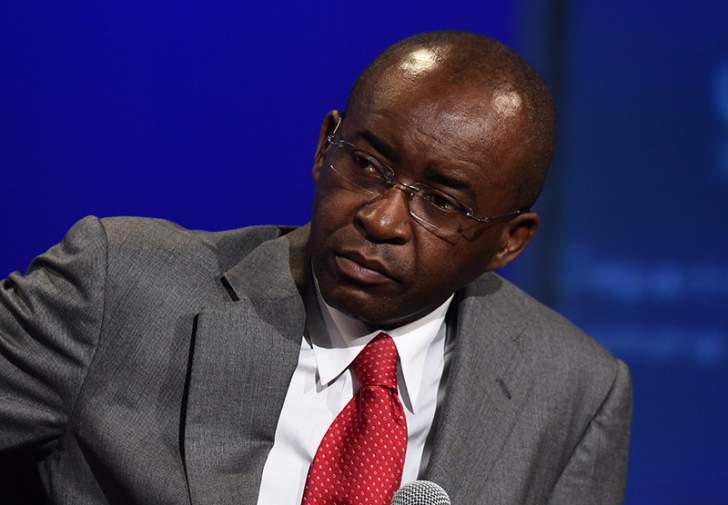 The comment follows a series of events in the past several days which saw both Strive Masiyiwa and his wife, Tsitsi Masiyiwa delete their Twitter accounts, after what Strive Masiyiwa said was bullying on the platform. Masiyiwa pointed out that one of the people that bullied his wife works "for an international organization that is highly respected for its work on human rights." and that "It's founder, now 95 is a close family friend." The individual referred to has been speculated to be Dewa Mavhinga, the Southern Africa Director of Human Rights Watch. Mavhinga had responded to a tweet by Tsitsi Masiyiwa before she closed her account. No one wanted to see your wife attacked on Twitter, but you are unfair by not explaining what happened. She had tweeted: "Some outcries and actions in pursuit of justice seem and look so right until you discover the source of the outcry and sponsor of the cause. Take a step back and reflect on some of the things we consider 'good and just causes.' #FoodForThought" Although I will presume it was not her intention, that comment closely paralleled the claim of President Mnangagwa and some of his supporters that critics of human rights conditions under his rule are not genuine but are sponsored by outsiders. In response, the person you attack tweeted the following: "If you are implying that all and any outcry & pursuit of justice is sponsored then that is really sad. When your husband pursued his fight to be licensed it was a just cause. In such position of privilege you should choose your words more carefully, le[s]t it promote injustice." With no further instigation, others took up this theme as well, so your wife chose to close her twitter account. That response was entirely fair—an appropriate way to ensure that your wife's comment, despite what her intentions might have been, wasn't understood as an endorsement of the president's and his allies' attacks on human rights critics. Far from bullying, the response cites your personal story as a positive counterexample: your long experience fighting injustice shows that good causes can indeed be genuinely pursued without any foreign sponsor. _ . I accept that you and the responder differ on when sanctions against the Mnanagwa government should be lifted. You find it sufficient that in your view Mnanagwa is well intentioned. The responder and many others, including myself, prefer to see the government take concrete steps before lifting one of the main sources of pressure to secure improvements. That's a legitimate difference of opinion. I would hope we could debate the merits of those positions without resorting to name-calling, especially such factually unsupported names, as you have now done. Unlike your statement here, the responder didn't bully anyone - and certainly not your wife—but simply responded to what he feared, whatever her intentions, would be taken as an attack on the credibility of the human rights movement. That others picked up on his point, without any encouragement or prompting by him, does not make him a bully but speaks to the resonance of his comment. And given his long respect for her work, as well as his highly respectful and productive relations with his many female colleagues in the human rights movement, I would hardly call him misogynistic. He would have responded to comments along the lines that your wife made regardless of who had made them. That is his right - and indeed his duty as a human rights defender.